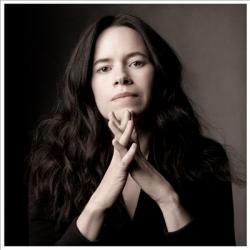 Summer US tour dates of Natalie Merchant that were postponed because of the illness, have been re-planned for the fall, as declared. Tickets bought for the genuine dates of July will be privileged at the recently re-planned dates. New self-titled album of Merchant out now on the Nonesuch Records marks their 6th solo collection. This self-mad album is the work of an adult artist with a distinctive and clear voice. Long respected for the substance and depth of their writing, Merchant has not at all shied left from heavy subjects or themes for their lyrics. She explains that the new release as declared by keen and experience observation, working with some possible issues of gained love and lost, apologize for, refutation, surrender, gluttony, destructiveness, beat, and infrequent triumph. Joining three decades of practice in album making and song writing, Production style of Merchant is pure and nuanced. Their voice is framed by a fair blend of acoustic and electric sound all the way through with musicianship of outstanding quality. Brass, string and arrangements of woodwind mingle with Hammond organ as well as electric guitar improvisations. Performers comprise Shawn Pelton, John Medeski, Uri Sharlin, Clark Gayton, Erik Della Penna, Jesse Murphy, and guest vocalists Simi Stone, Gabriel Gordon, gospel singer Corliss Stafford and Elizabeth Mitchell.